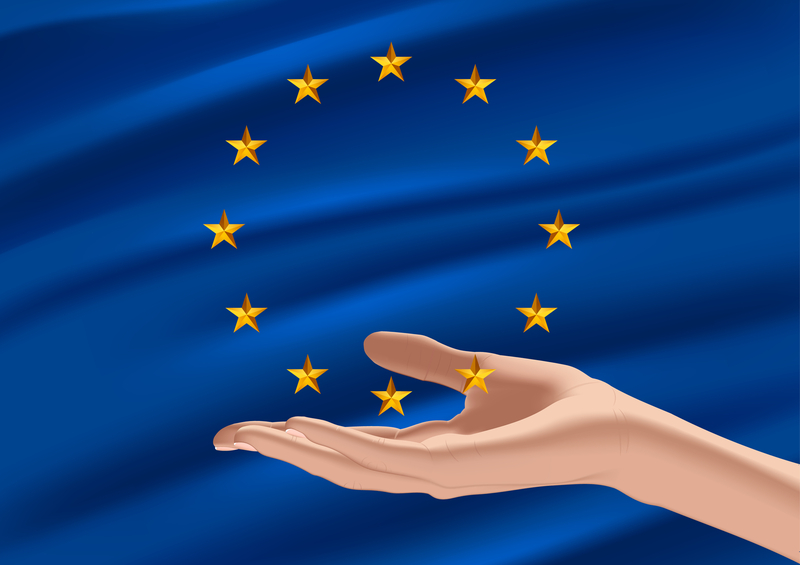 Home › Economy › Thomas Piketty: what kind of shock is needed for Europe to move on? This article, written by Thomas Piketty, French economist who works on wealth and income inequality, has been first published by the French newspaper Liberation. It has been translated, and reproduced here with his personal authorisation to Finland Politics. Thomas Piketty is professor at The School for Advanced Studies in the Social Sciences (French: École des hautes études en sciences sociales, EHESS) and professor at the Paris School of Economics. He is the author of the best-selling book “Capital in the Twenty-First Century” (2013), which has been qualified by Branko Milanovic, a former senior economist at the World Bank as “one of the watershed books in economic thinking.” The Economist said that it could change the way we think about the past two centuries of economic history. And the New Yorker indicated that “Certainly, no economics book in recent years has received this sort of attention”. And as stated by Bill Gates, “I encourage you to read it too, or at least a good summary, like this one from The Economist”. The saddest, in the European crisis, is the stubbornness of its leaders to present their policy as the only possible, and the fear that inspires in them any political jolt that may alter this happy balance. The palm of cynicism comes probably from Jean-Claude Juncker, who since the LuxLeaks revelations quietly explains to a stunned Europe that he had no other choice when he was at the head of Luxembourg than siphon to its advantage the tax base of its neighbors: you see, with the declining industry, I had to find a new development strategy for my country; so what could I do but to become one of the worst tax havens in the world? The neighbors, as they are dealing with deindustrialization for decades, will appreciate. Today, it is not enough to apologize, it is time to recognize that the problem comes from the European institutions themselves, and that only a democratic overhaul of Europe would allow for social development policies. Specifically, if we really want to prevent the recurrence of new LuxLeaks scandals, we must forget about the unanimity rule in tax matters, and make all decisions regarding the taxation of corporations (and ideally the taxation of highest income and greatest fortunes) according to the majority rule. And if Luxemburg and some other countries refuse, this should not prevent countries that wish to advance in this direction to establish a core group and proceed, and take the necessary sanctions against those who continue to want to live in financial opacity. The golden medal for amnesia may be attributed to Germany, with France as a close silver winner. In 1945, both countries had a public debt exceeding 200% of GDP. In 1950, it had fallen to less than 30%. What happened, where they suddenly producing surpluses to repay such a debt? Obviously not: it is by inflation and outright repudiation – just refusing to pay their debts – that Germany and France got rid of their debt in the last century. If they had tried to patiently wait for surpluses of 1% or 2% of GNP per year, well they would still be waiting, as it would have been much more difficult for postwar governments to invest in growth. Astonishingly, these two countries are now explaining since 2010-2011 to Southern Europe that their public debt has to be repaid until the last euro. This is a short-sighted selfishness, since the new budgetary treaty adopted in 2012 under pressures from Germany and France, which organizes the austerity in Europe (with excessively rapid deficit reduction and a system of automatic sanctions completely ineffective), has led to a widespread recession in the euro zone. Just when elsewhere economies are restarting, such as in the United States and in the EU countries outside the euro zone. In this couple, the prize for hypocrisy goes without question to the French officials, who spend their time putting all the mistakes on Germany, while it is clearly a shared responsibility. The new budgetary treaty negotiated by the former French government and ratified by the new one could not have been adopted without France, which has really made like Germany the choice of selfishness vis-à-vis the Southern Europe: since we pay very low interest rates, why share it with them? In truth, a single currency will never work with 18 public debt and 18 interest rate on which financial markets are free to speculate. We should invest heavily in training, innovation and green technologies. We are doing the opposite: currently, Italy spends nearly 6% of GDP to pay interest on the debt, and invests only 1% of GDP in all its universities. So what shock could help to move on in 2015? There are roughly three possibilities: a new financial crisis; a political shock from the left; or a political shock from the right. The current European leaders should have the intelligence to recognize that the second possibility is by far the best: political movements that thrive today at the left of the left, as Podemos in Spain or Syriza in Greece, are fundamentally pro-European and internationalist. Rather than reject them, we should instead work with them to develop the outlines of a democratic overhaul of the EU. Otherwise, we are likely to end up with a much more disturbing shock coming from the right […]. We can also […] hope for the impossible. Considering his situation, Francois Hollande could rightfully acknowledge the mistakes of 2012, and reach out to southern Europe, and finally make some bold proposals for our continent. ‹ Greece: should Finland use its experience of the payment of last war’s damages?